The progress of humankind depends on imagination. All the great scientific and artistic achievements of humanity are largely due to the imagination. Einstein said that, in order to come up with his theory of relativity, he had to think like a child again. In other words, use his imagination. It’s true that children have a richer imaginative life than us adults. This is because we have been taught to suppress our imagination as we get older. Why is this so? If imagination is so important for the progress of humanity why are we made to feel it is something childish, something to be grown out of? Answering this question is not within the scope of this article. What we are concerned with is how things are changing. 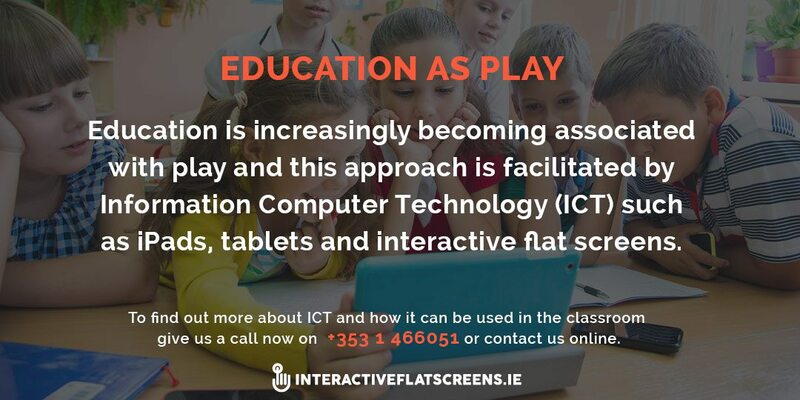 Education is increasingly becoming associated with play and this approach is facilitated by Information Computer Technology (ICT) such as iPads, tablets and interactive flat screens. Part of the role of a teacher is to maintain discipline and order. Pupils with discipline problems are usually bored and disinterested when it comes to learning. Associating learning with play is one way to get them interested. Instead of trying to suppress their imagination, stimulate it. The advent of iPads and tablets allows for a more interactive and engaging learning experience. There are thousands of learning apps available that do just this. For example, an Irish history app might offer a tour through Viking Dublin. Instead of just reading about it, the pupil gets a more direct learning experience. This visualisation is important for stimulating the imagination and as an aid to learning. Education is a journey and these learning apps take pupils on a journey, both literally and metaphorically. So, what about the ‘play’ factor? Well, play is about fun and games but it is also about acting and taking on a role. It’s about becoming immersed in a role, which is something we all love to do as children. Are you a cowboy or an Indian? Many computer games are based on the idea of taking on a role. When you play Tomb Raider you are taking on the role of Lara Croft and you are questing through her world. History apps are so immersive they make you feel like a character from the world you are exploring. You can lose yourself in this world just like a good book, movie or computer game. This kind of imaginative play is good preparation for taking on a role as an adult. The philosopher Friedrich Nietzsche teaches us that we only become adults when we return to the seriousness we had as a child at play. Of course, there are tasks, puzzles and quizzes too. Both intellect and imagination are stimulated. Problem solving requires as much intellect as imagination. So, imagination is not just about escapism and personal pleasure. It helps us to understand the past but also to envision and realise the best future for our ourselves and the planet. In a very real sense, if we are to solve the world’s problems imagination is vital. 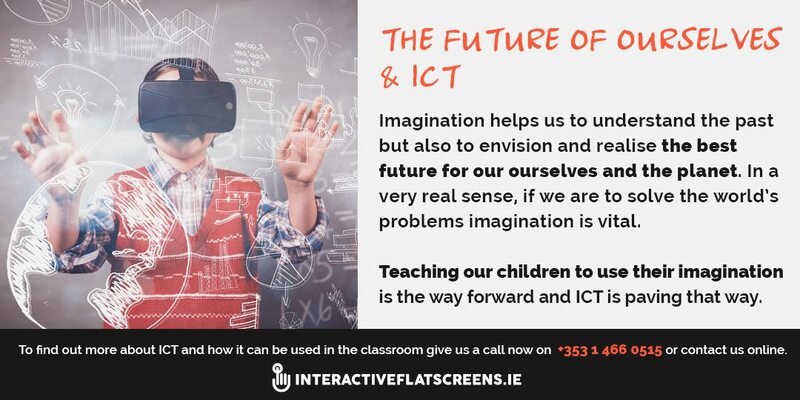 Teaching our children to use their imagination is the way forward and ICT is paving that way. Imagination is a gift and it should be cherished as one. 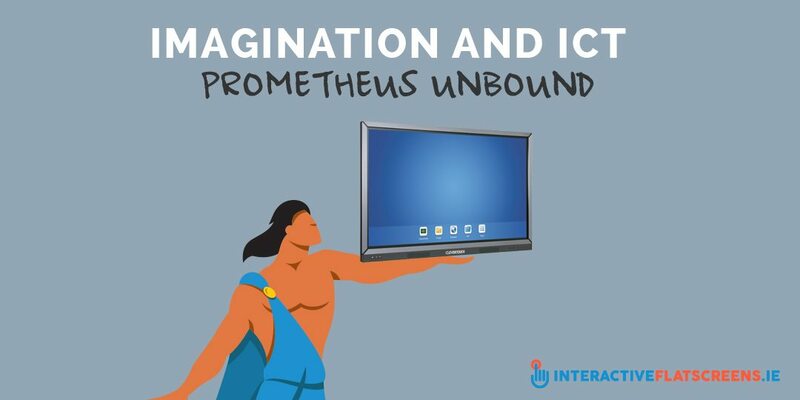 Many of you will know the story of Prometheus, the Greek god who gave fire to mankind. Imagination is that fire and we should never let it go out. If you would like to find out more about our range of ICT for the classroom then give us a call now on +353 1 466 0515 or contact us online to see how ICT can benefit your classroom!